For today's Mondays with MontyC, I spotted this great tag ("Would You Rather...") recently on the gorgeous blog Luxe Life Aspirations by the super stylish (and fellow skincare obsessive) Michelle and I thought it would be fun to tackle these questions myself. I like beauty tags. I think they let you open up a bit more than a usual blog post. So here goes! 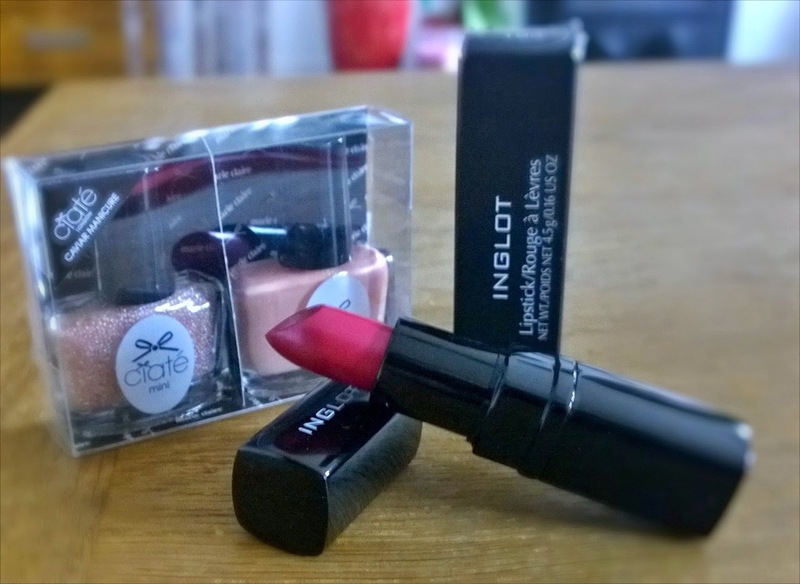 Here at Make Up For Dolls, like a lot of other blogs, we try to help out with honest reviews of products we buy and put to the test. These are not magazine "reviews" which are frequently just paid promotions. Most blogs (I do say most!) are honest and try to give a genuinely balanced opinion of a particular product. 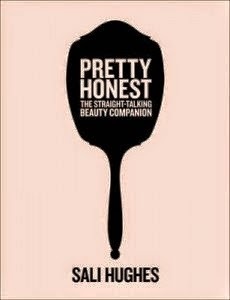 And one of the longest serving and most respected of us all, the journalist, broadcaster, Guardian columnist and all round Welsh legend that is Sali Hughes, has written a book called "Pretty Honest" to answer some more of these questions. 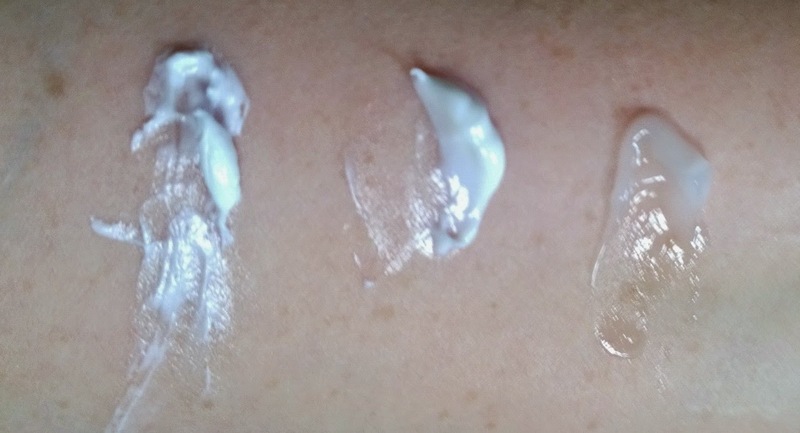 Although I'm not usually one for high coverage foundations - recurring nightmares of the great (and recurring) Max Factor Panstick Disaster of my youth - I went wild and tried the new(ish) Vichy Dermablend Corrective Compact Cream Foundation, that's quite a mouthful! 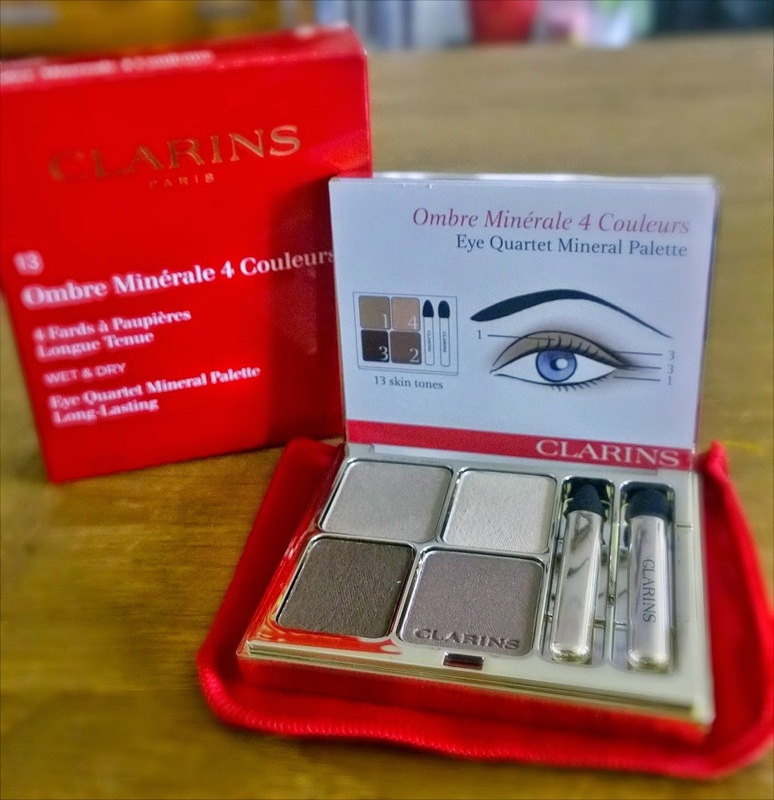 Very quick review today of another of the Clarins Ombre Matte shades, which have been available as part of the Autumn Ladylike Collection from Clarins... I've already used and reviewed two of these here as part of a Look of the Day post, today is the turn of #5 /Sparkle Grey. This really is precisely the kind of shade and finish I love - as you can see, it's a mauve-and-brown toned grey, veering into that group of shades described as "taupe". 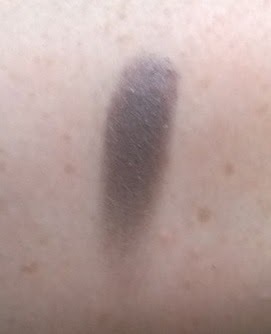 I bought this as it's the only one of the Ombre Mattes which has a bit of a (slight) frosted schparkle to it (it's not an annoying OTT fally-outy type frosting, never fear) and I did love the two matte Ombre Mattes I tried out (plus, I found myself back home in the sticks with ne'er an eyeshadow with me but a Clarins concession at the local pharmacy... handy out). 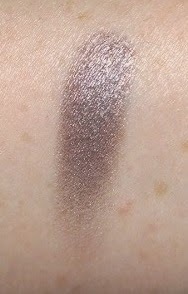 ... as you can see from the pics, the flash shows off that slight reflection and reveals the mauvey-minky tone at the base of this shade. 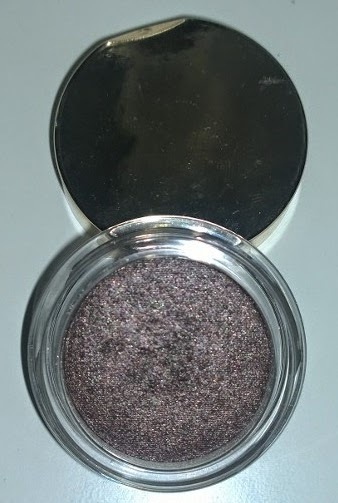 I love it, I've been wearing it on its own as a schmeer of colour on my lids... together with a lighter shade and this in the outer corners as a subtle day-time blown-out smokey eye... on its own, built up at the lashline and pulled up and blended-out for a standard, classic smokey eye. That's it! Told you it'd be a quick one today! 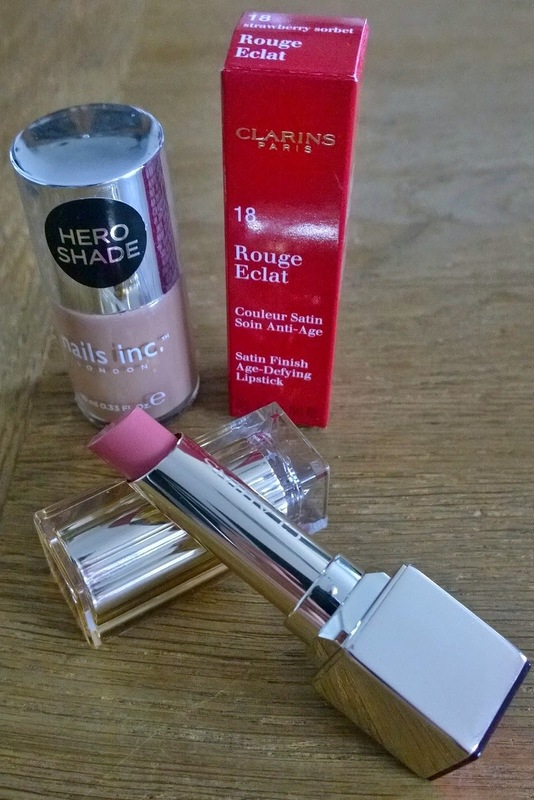 Welcome to my September Favourites! 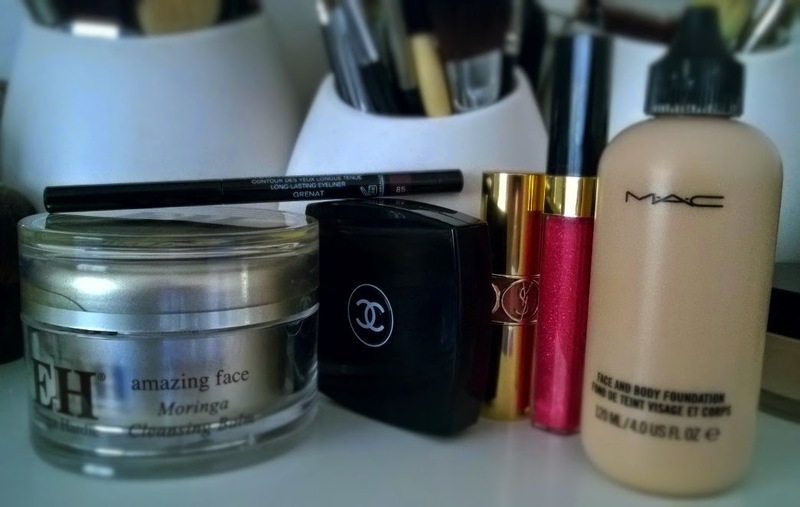 This month my favourites are made up of tried and tested products that I use again and again and if I'm under pressure for time as I know they will work for me every single time I use them. They rock. So lots of recent trips to the salon to get my hair in order. It was the summer, so beachy, slightly messy, boho hair, slightly too long hair (that really needed a tidy but what odds) was just fine. And as it also kept catching in the crook of my elbow every time I bent my arm, and was therefore driving me berzzzzzzzzzerk, it was time for the chop. Although I hate cutting my hair. Keep reading! The important bit is coming up! Another foundation, I hear you ask? Well, there's a lot of 'em out there to try to get through! 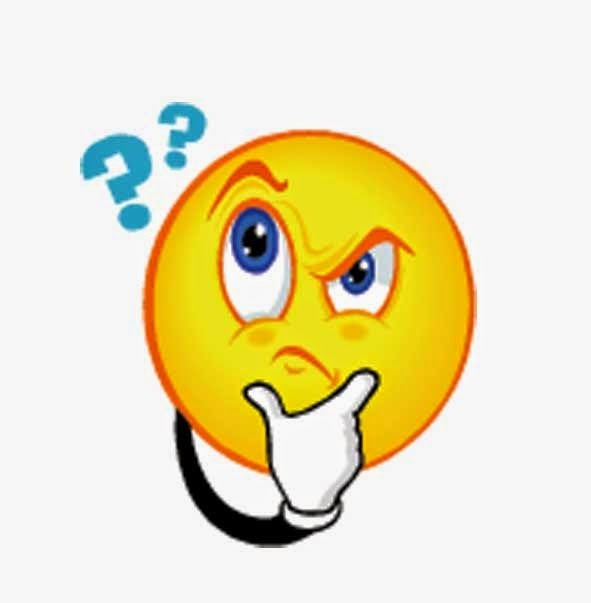 That's the way it goes with blogs - those of us who produce blog posts do so (a) with mind to what we're using ourselves - my trials and reviews (b) with a nod to what is coming out soon - my preview and promo posts, and with a strong desire to try out and report back on what's new. bareMinerals bareSkin Pure Brightening Serum Foundation is one of those Brand New Things I've been wanting to try out. 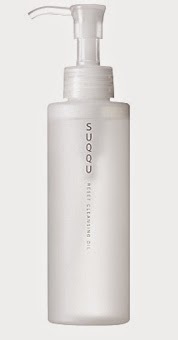 I've tried a few of the Suqqu cleansers now at this point in time and this, the Reset Cleansing Oil, is the only one I've used which works as a makeup remover per se. 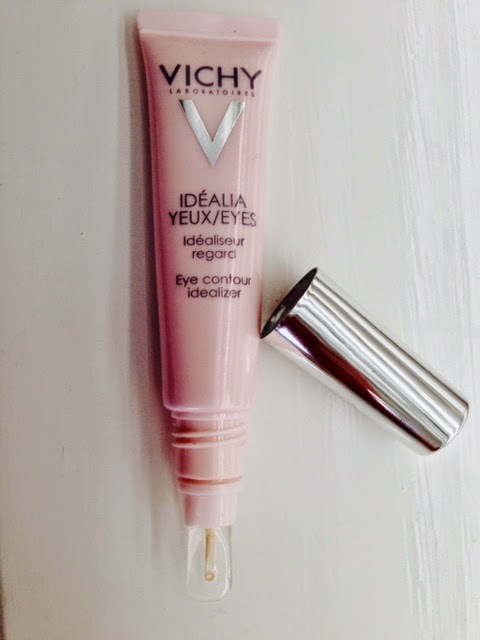 A new product just launched by Vichy promises that holy grail: a single step eye care that corrects dark circles, lines and shadows, and that has long-lasting results over continued use: Vichy Idealia Eyes. 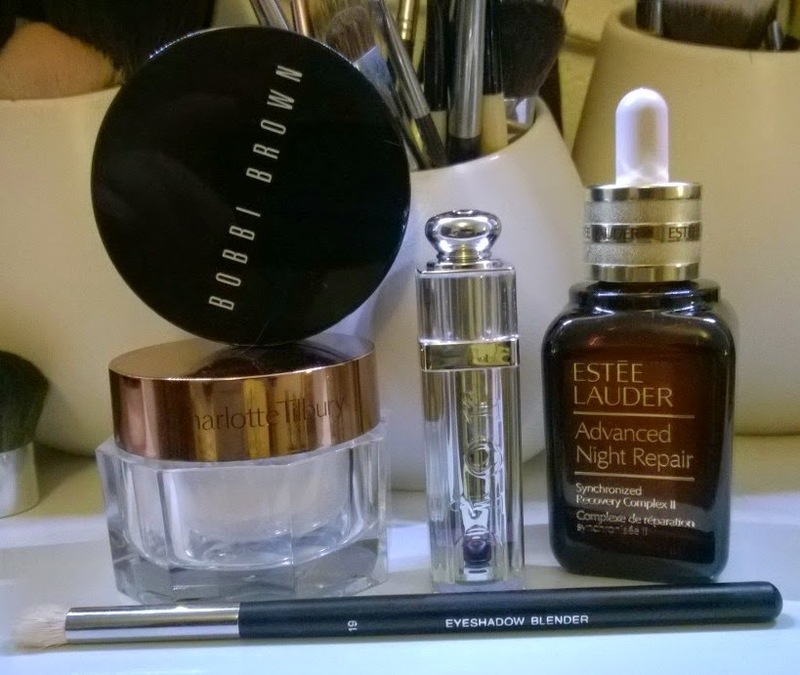 For today's Mondays with MontyC, I guess I have to come clean and agree that I've been on a bit of an Estée Lauder bender recently! 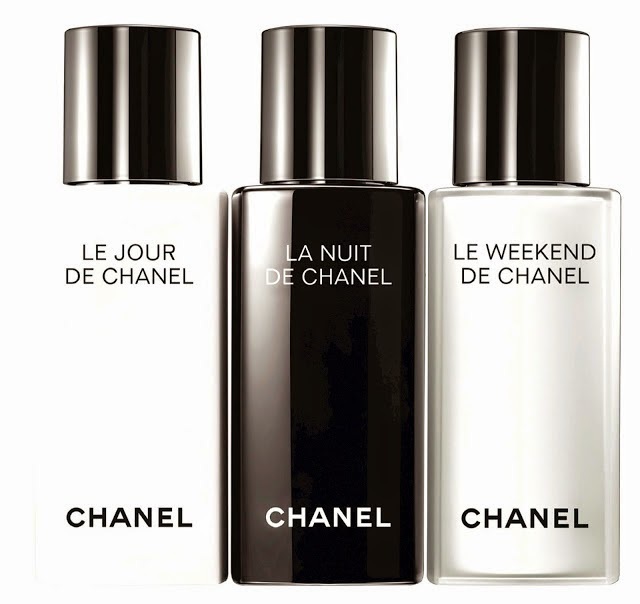 It's such an iconic brand, I felt the time had come to get to know the products a bit better. 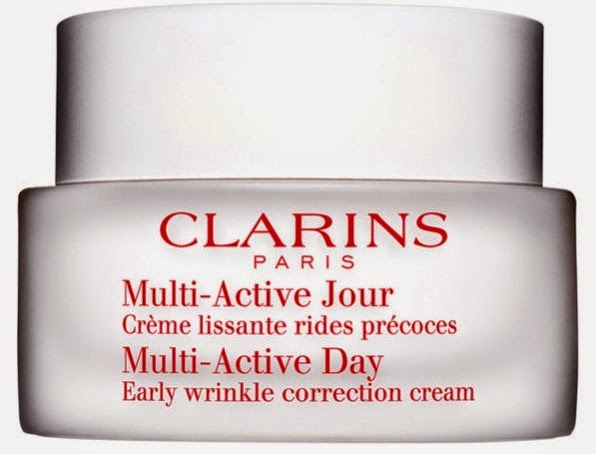 Plus, and let's be honest here, for a skincare nut like me, it's really any excuse to try out another face product. 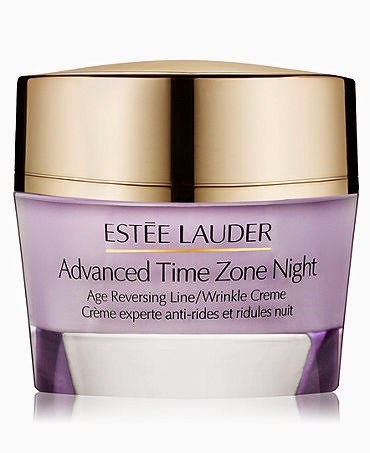 Today it's the turn of the Advanced Time Zone Night Age Reversing Line/Wrinkle Cream. 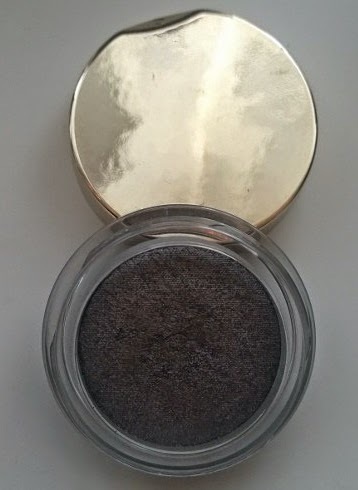 Another review that has been a while coming, while I use (and absolutely love) the Illamasqua Hydra Veil (see review here), I don't tend to do many matte looks in the summertime, preferring minimum products and minimal finish to my skin in the warmer summer months. 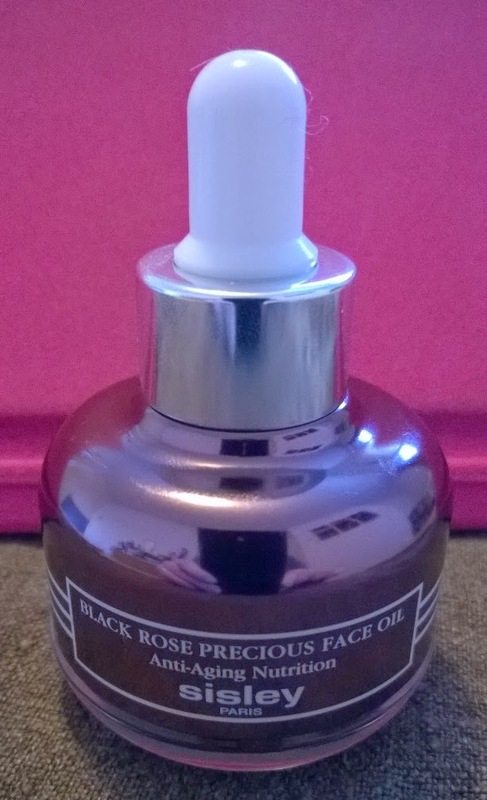 As I wasn't sure about this one, I obtained a sample and have been trialling that the last week or so. 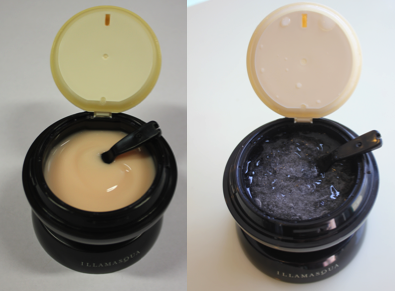 First-off, let's get this out of the way, I'm not going to get into comparing-and-contrasting the two Illamasqua Veil products (Matte Veil and Hydra Veil) - Illamasqua themselves have a great comparison post here if you're interested. I will just say this: whereas Hydra Veil is a cooling gel that contributes to hydration in the skin, giving a slightly dewy glow to the skin, Matte Veil is more of a gel-cream, used to minimise oil, smooth-over pores and give a more matte finish to the skin. They're intended to be used by all skin types, but if you have particularly oily skin, or parts of your skin which are oily, for example the T-Zone, then the Matte Veil would come into its own on those areas in particular. To use it, just scoop out a pea-sized amount with the accompanying spatula (nice idea, but please please please put this into a tube Illamasqua! 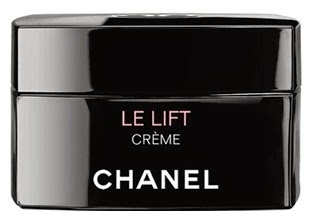 ), apply it over the face with fingers or a brush (either or, both work fine), and presto, you've got a matte, and mattifying primer which I've personally found brilliant for my oilier patches, especially in the summer when my skin goes a bit nuts on the old oil front. 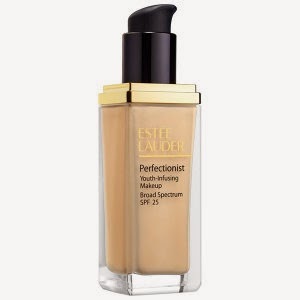 It really does lend a helping hand to makeup - foundation glides over this and blends far easier than if you were just applying directly to your skin, taking far less time to buff in, especially at the sides where your face is naturally covered in barely visible downy hair. 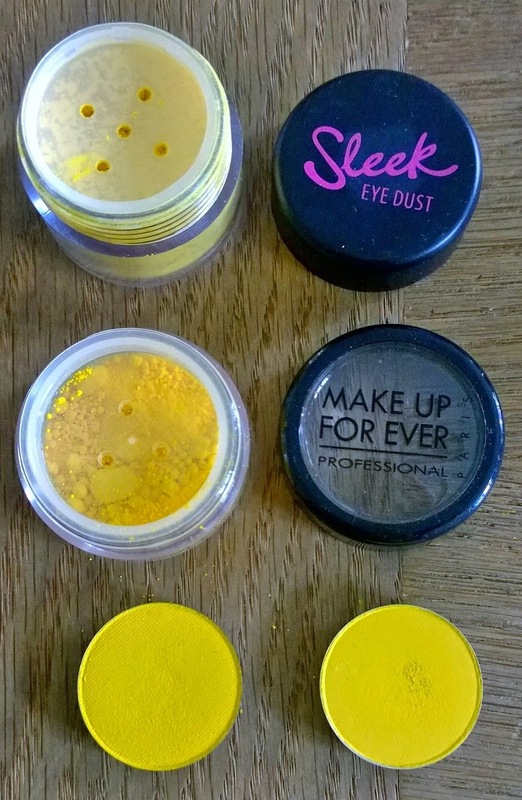 As with any good primer, make up lasts me longer (maybe a couple of hours longer), it applies easier, and I also find I'm using less foundation than I would without it (same as they Hydra Veil then). 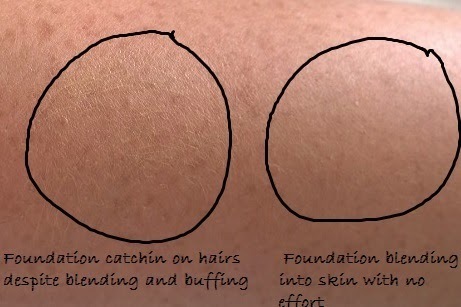 It doesn't give you a dead matte finish, but I have tried it with a number of foundations (Illamasqua and other brands) and definitely have found that it dumbs-down any dewiness contained in those foundations - so yes, you can use it with other foundations, and yes, you'll get a slightly different finish with Matte Veil + Name Your Foundation than you would with just your "Name Your Foundation of Choice" and no Matte Veil. Incidentally, I've also found that the Matte Veil will mattify your skin without eliminating any radiance/glow in the foundation you've pushed on top of it, so it'll eliminate any dewiness but not radiance. Hence, not a dead finish. Neat trick. 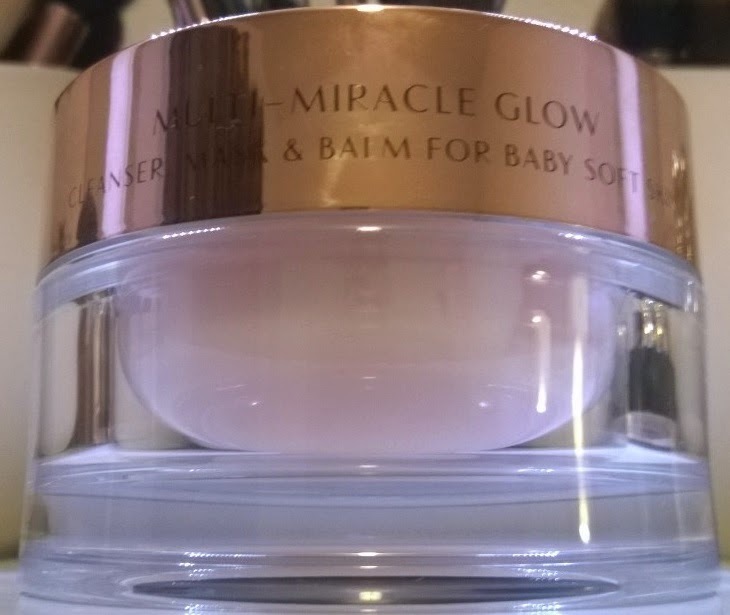 This is water-based, so will work better with water-based foundations, and it will also work with silicone foundations - but don't use it if your foundation is oil- or wax- based. It doesn't contain any nasty ingredients (parabens) but it does seem to contain titanium dioxide, so watch out for flash-back. I believe that £30 will net you a 30ml tub of this, same as the Hydra Veil. 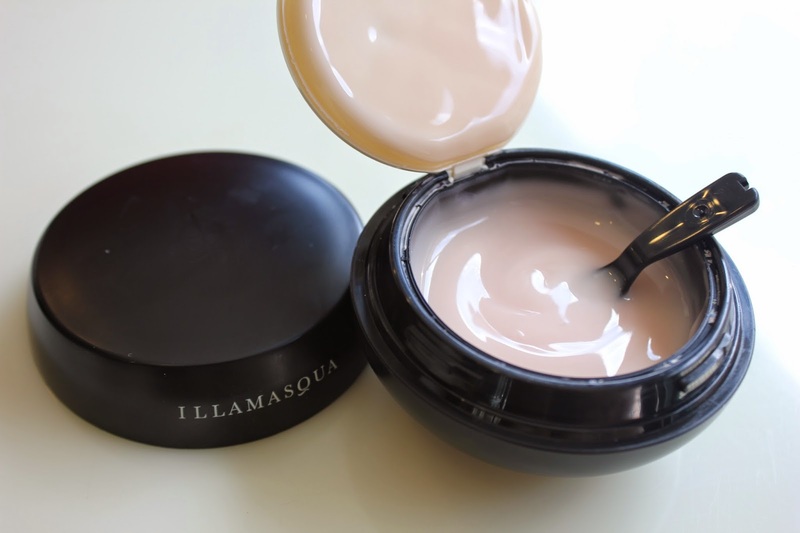 Look here for my review of the Hydra Veil and here for more info on the Illamasqua site. In the interest of full disclosure, this was a PR sample. 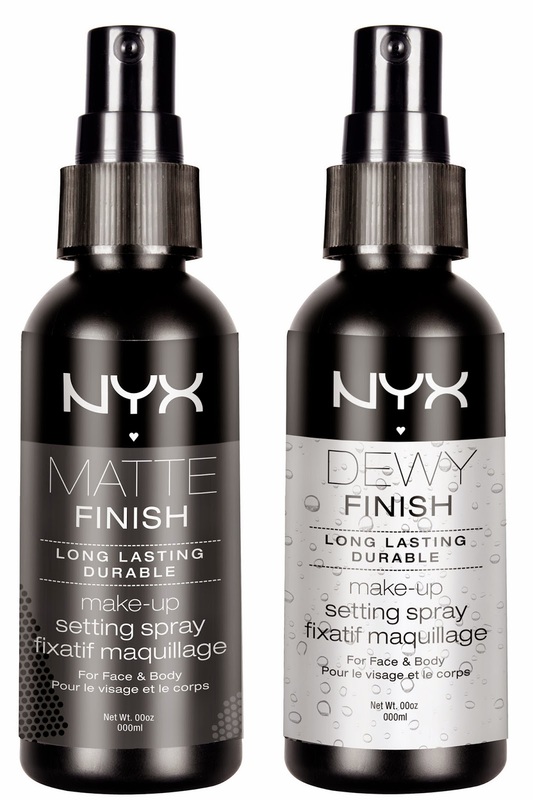 I have written before about makeup setting sprays (I have a couple that I use) and NYX have now released their very own Makeup Setting Sprays - two of them in fact, (1) a matte finish and (d) a dewy finish. 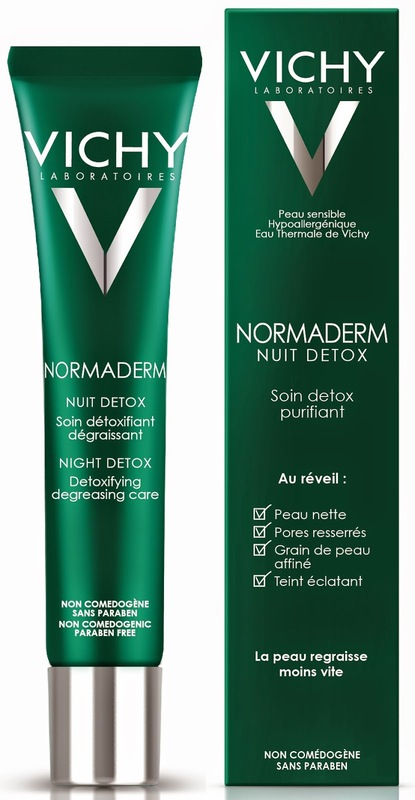 It has been a while since I've posted a preview post and this one certainly looks interesting - Vichy have released a new product, Normaderm Night Detox, the world’s very first detox & purifying night cream for oily skin ladies and gents. Oily skin produces three times more sebum than that of normal skin, and skin produces most of its sebum around midnight, so you'll always find that your skin (whatever its type) is oilier in the morning than later on in the day. 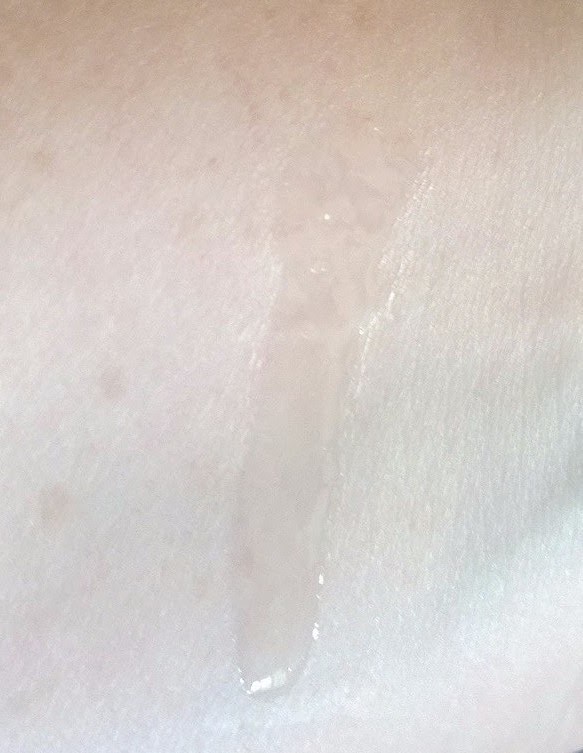 This excess sebum is visible the next morning and is most noticeable around noon, as it takes around twelve hours for this excess sebum to be excreted to the surface of the skin. 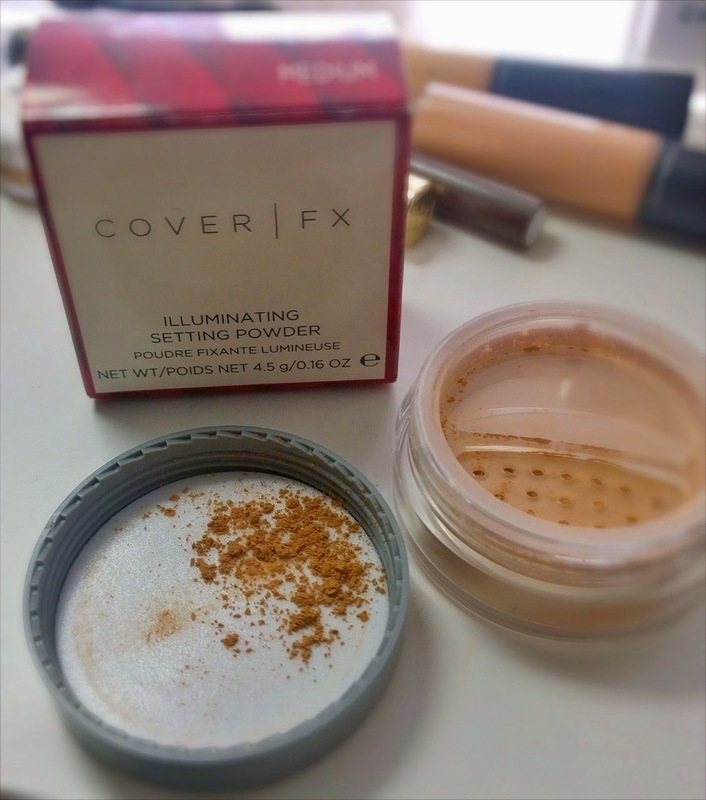 If you have oily skin, this explains why your make-up always disappears by around about lunchtime! Hi folks and welcome to a new planned monthly post featuring my favourites from the previous month (these may or may not be products I've blogged about during that month). The products may not always be new but they'll still be winners by my reckoning! As this is something I've really just cooked up, my August post is a little late, but the plan is that once a month, likely at the start of each month, I'll write a blog post on my favourites the previous month in the Mondays with MontyC slot. As a reminder, swapping days with Emer (the ArtyMama) - her usual Friday post is here, go take a read if you haven't already! 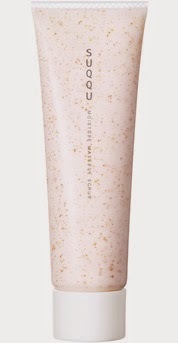 According to their own PR, this Moisture Massage Scrub from SUQQU "enables you to get the benefits of daily face wash, massage and a scrub all in one easy step". 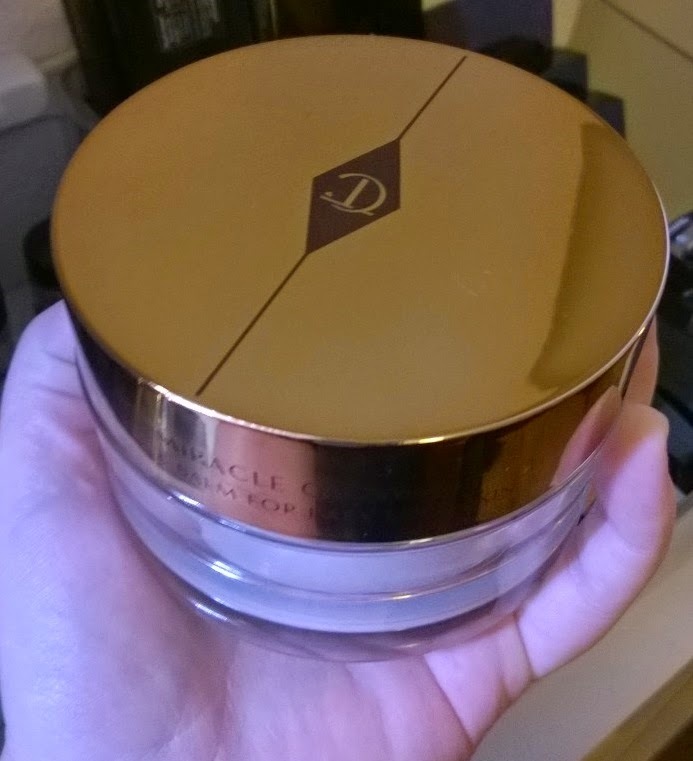 Although Suqqu products are not available in Ireland, with Selfridges just across the pond, and the miracle that is Internet Shopping, I reckoned I'd give it a review anyhow. I know it's not Friday - but since I came back from holidays things have been a bit kaplooey! So Emer's usual Friday post is today, Wednesday - to give me a chance to catch up and get organised with posts for the remainder of the week... 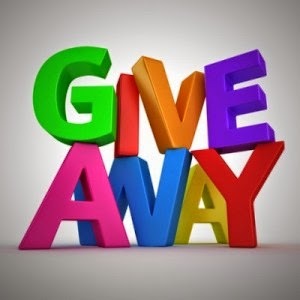 I will also be announcing a bunch of giveaway winners on Saturday next - so please go and enter if you haven't already! 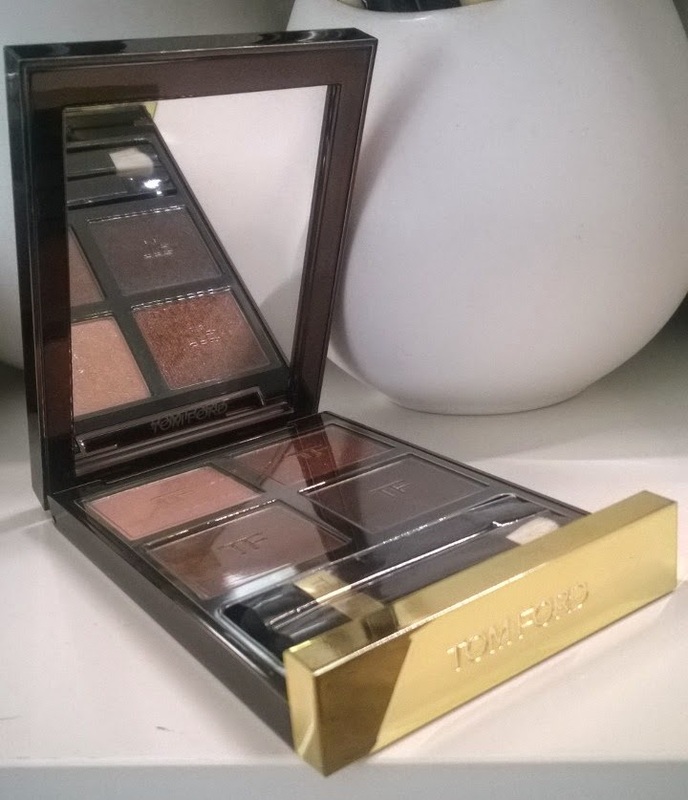 When it was announced that Charlotte Tilbury's makeup and skincare was going on sale here in Ireland, I knew inside of a nano-second what product I would get (from my very long CT wish list :-)). 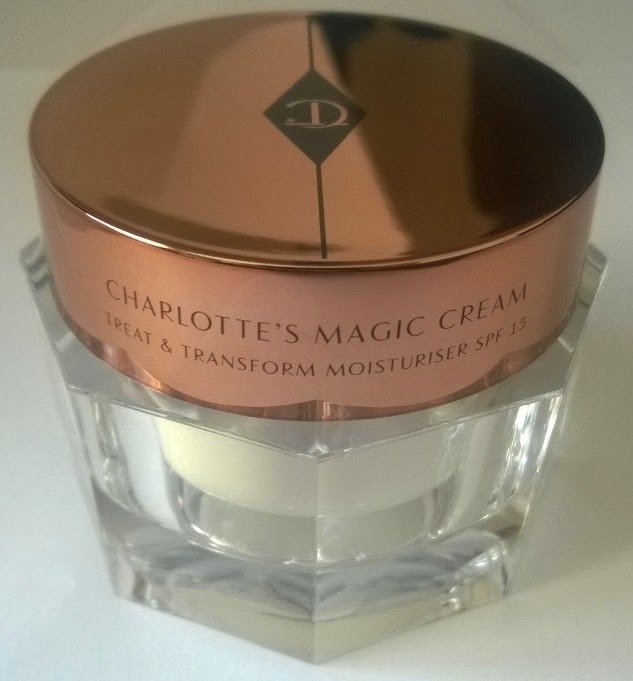 It was this, the Moisturiser Known As Magic Cream. 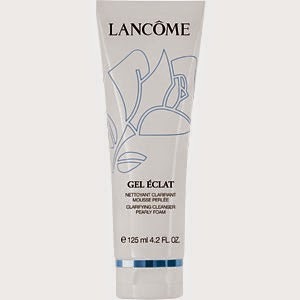 I'd read a lot about it and had seen her use it in her videos and the more research I did, the more I knew I wanted to try it (as I wasn't in a position to get a sample of it first to try out, and given that it's not inexpensive, I wanted to be as sure as I could before shelling out). I have a few bits and pieces of Charlotte Tilbury makeup already and was impressed with them so I had high hopes for this. 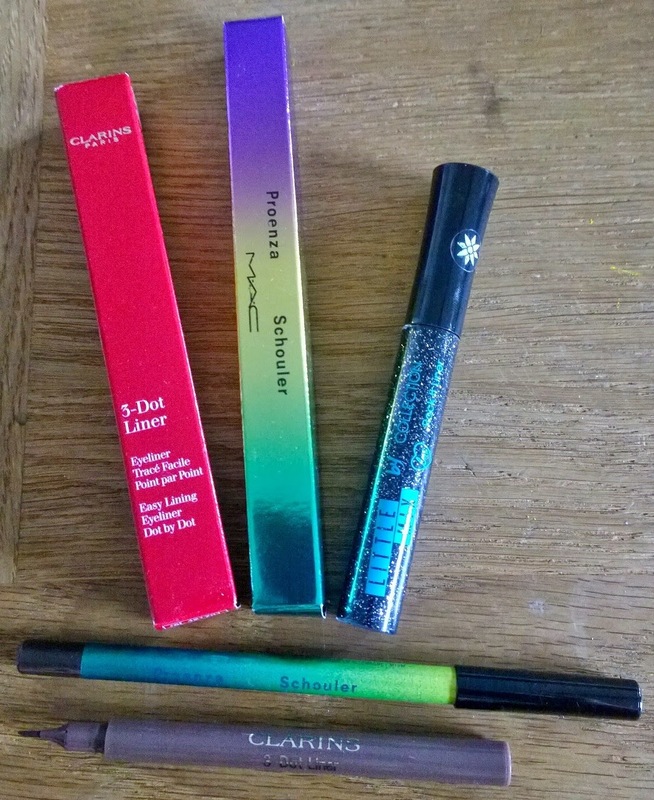 Day four of my holidays, day four of my little mini giveaways. 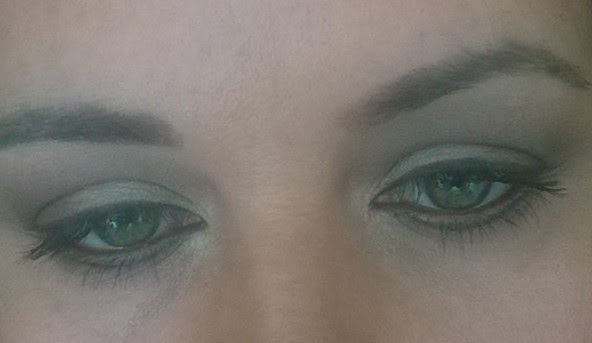 Today, it's all about the eyes - eyeliners to be exact! Day two of my holidays, day two of my little mini giveaways. 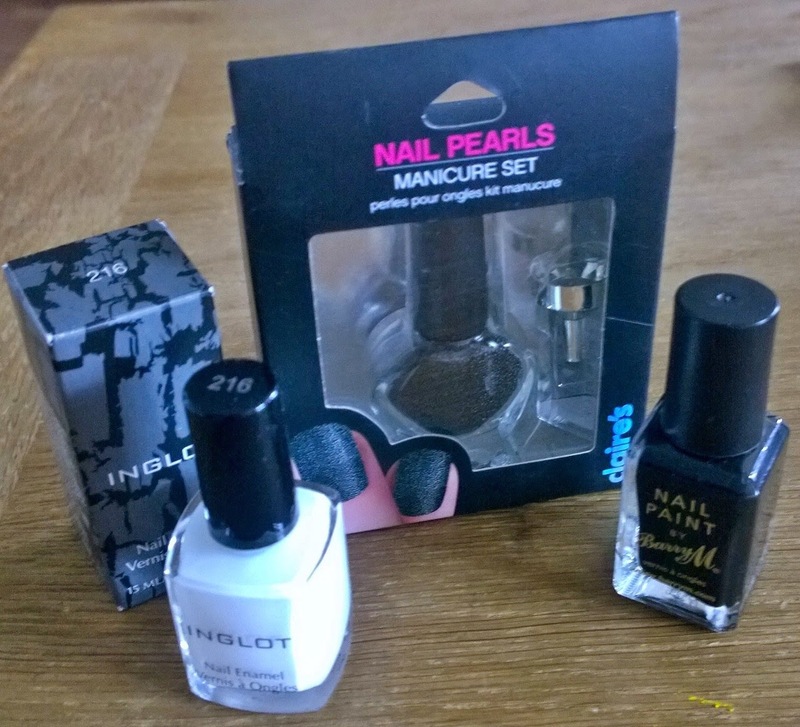 Today, it's all about the nails, in black and white! 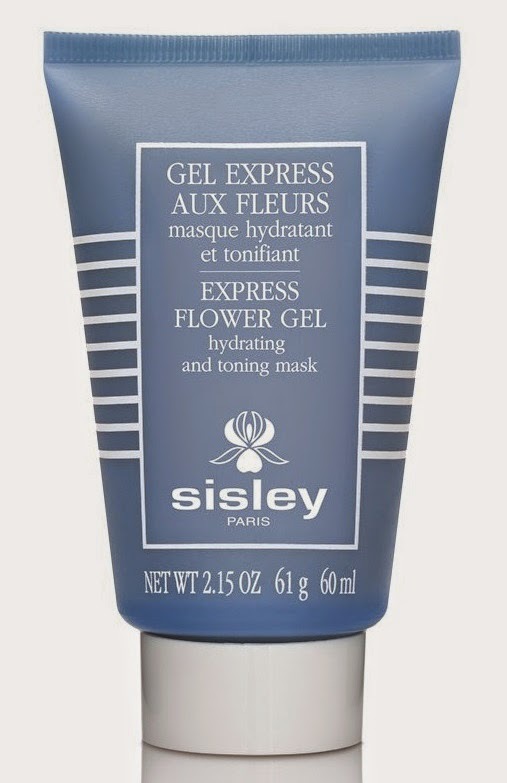 Last Friday was the turn of a newly formulated night cream, today on Mondays with MontyC we're turning back to a fantastic daytime offering, Sisley's Hydra-Global Intense Anti-Aging Hydration moisturiser. Oh how I wish I didn't like this stuff so much!